Harold Wilson once remarked that a week is a long time in politics, in that case a year must seem like a millennium. Today marks the anniversary of the 2017 General Election but is anyone in Westminster popping the champagne to celebrate? Survation’s most recent voting intention figures would suggest not. As Theresa May stated during her less than enthusiastic campaign over a year ago, ‘nothing has changed’ since our 10 May results. In fact the results are the same as our pre-election poll on the 7 June 2017. The Conservatives and Labour still remain neck and neck, with the Conservatives holding a slim advantage. As the above graph highlights, the two main parties have swapped leads three times in the last year. 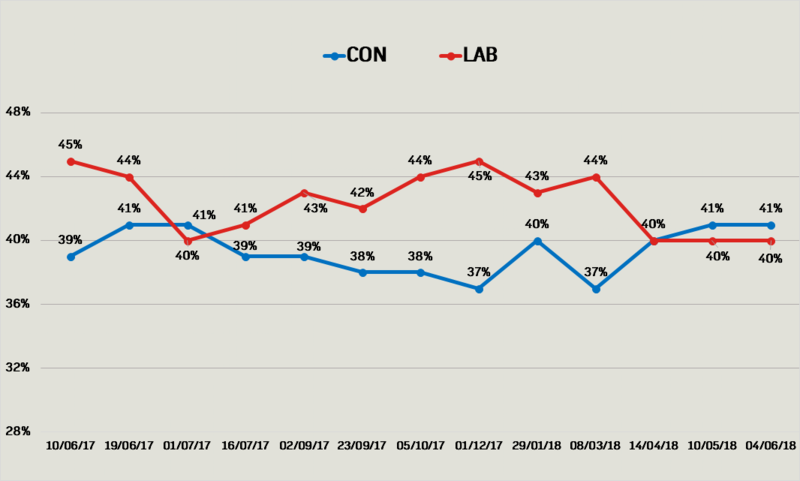 Labour managed a gap of 8 percentage points in December 2017 but since March 2018 there has been very little space between the two. 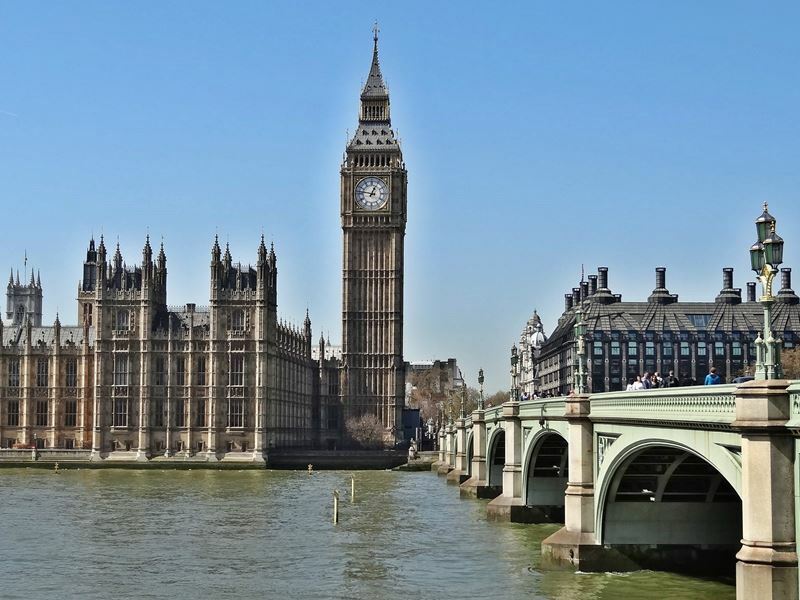 If a snap election was held on the anniversary, what Government would the country be waking up to tomorrow? The above chart which uses Martin Baxter’s “Strong Transition*” seats model (which allows input of CON/LAB/LD/UKIP/GRE/SNP, including Baxter’s Scotland adjustment using Survation Scotland data) shows the Conservatives would end up 20 seats short of a majority. Perhaps the champagne would need to remain corked for another year. Elsewhere with the two year anniversary of the EU referendum fast approaching, the voting intention for a conceptual ‘Second Referendum’ remains the same as May on: 50% Leave 50% Remain. Research was conducted online with a sample of 2012 UK Adults aged 18+. Fieldwork from 31 May – 4 June 2018. BPC Statement: All polls are subject to a wide range of potential sources of error. On the basis of the historical record of the polls at recent general elections, there is a 9 in 10 chance that the true value of a party’s support lies within 4 points of the estimates provided by this poll, and a 2 in 3 chance that they lie within 2 points.